Halloween’s snuck up on us this year. C(11) and I spent last week in Spain where it still felt like summer, so we only pulled out our Halloween decorations yesterday. I’m definitely not an uber-organised mum who has a different craft planned for every holiday. Many years I forget we even have Halloween stuff. 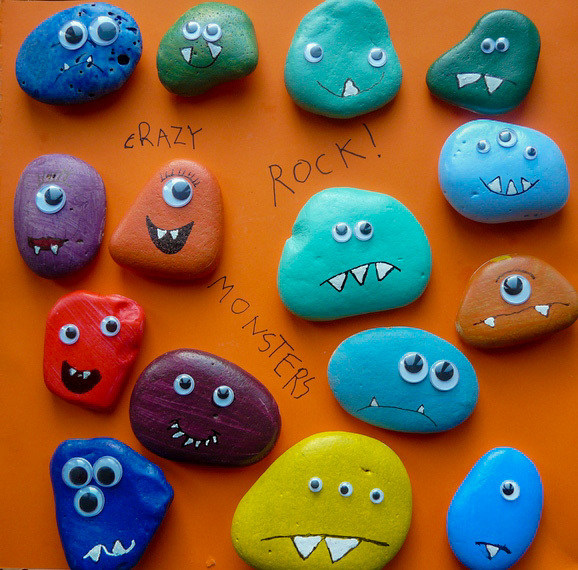 Among the dozens of preschooler costumes – which I took to the charity shop this morning – we found these cute rock monsters in the Halloween basket. I shared these when we first made them, but I couldn’t resist snapping a few new photos yesterday. In case you missed it, here’s how you make them. Mix up some fun acrylic colours and paint your pebbles. Once they’re dry, stick on eyes and draw mouths. Paint the teeth with white-out fluid or paint. When we first made these we had lots of fun inventing personalities and back-stories for our monsters. 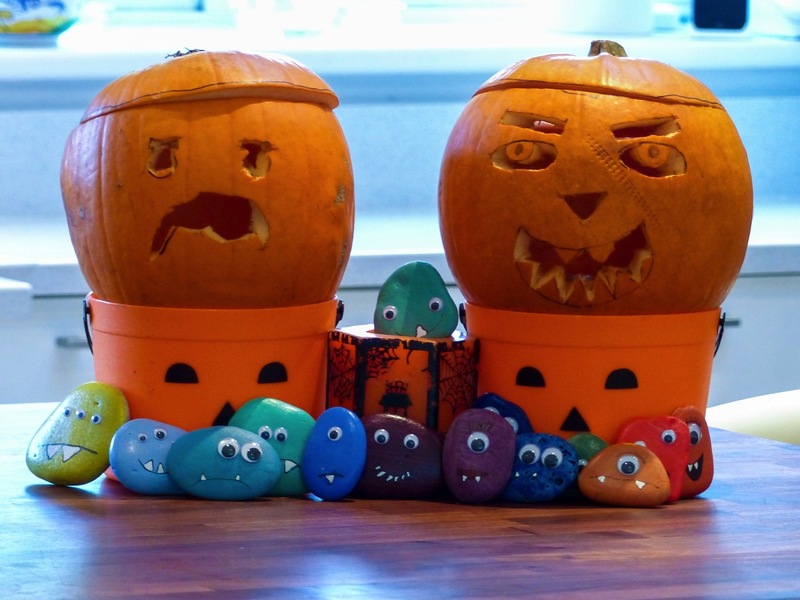 This year C(11) and J(10) were too busy making a Halloween pumpkin-carving video to play with them much, but I’m pleased to say the little guys at least got non-speaking parts in the movie. 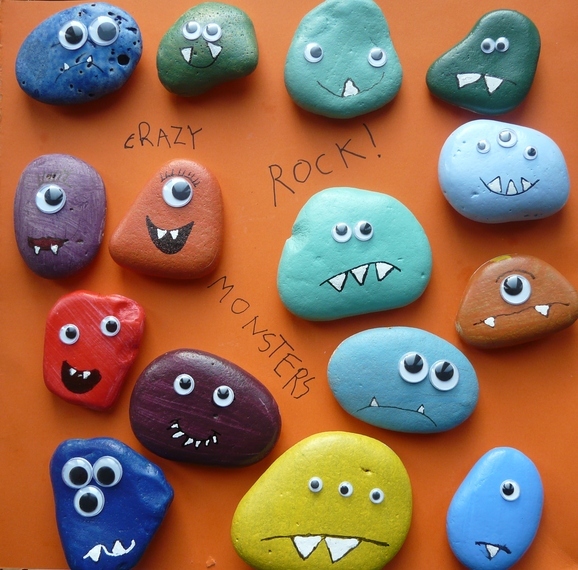 I originally saw these rock monsters at Coastal Inspired Creations. Do head over to her site for more detailed instructions and lots of other pebble craft ideas. I’m appreciatively linking up at Weird Unsocialized Homeschoolers’ Weekly Wrap-Up. It’s UK half term holiday this week so we’ve been seeing friends, doing sports courses (the children), decluttering and child-free shopping (me :-)), and tomorrow we’re off to spend Halloween with family in Wales. 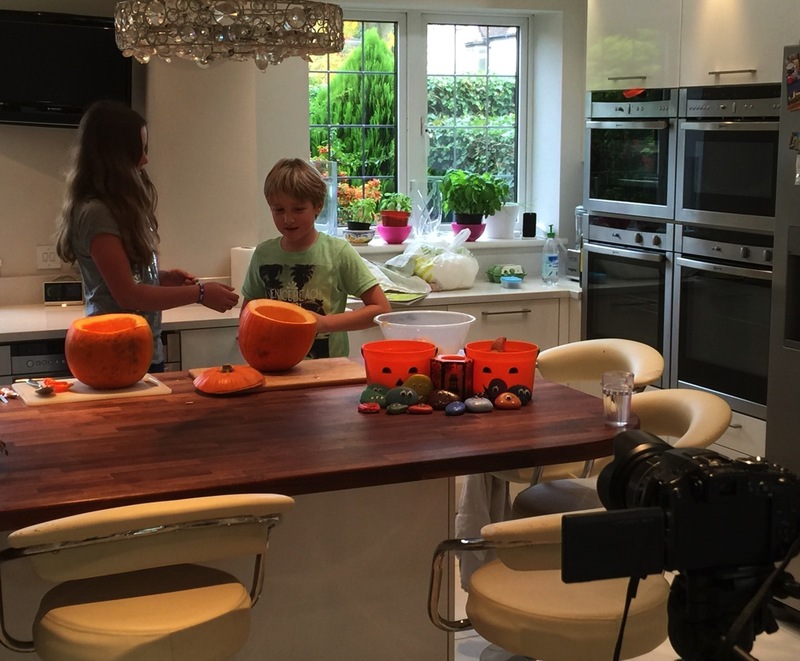 And then we’re taking an extra week off next week to go to Center Parcs with friends – yay – I love homeschooling! 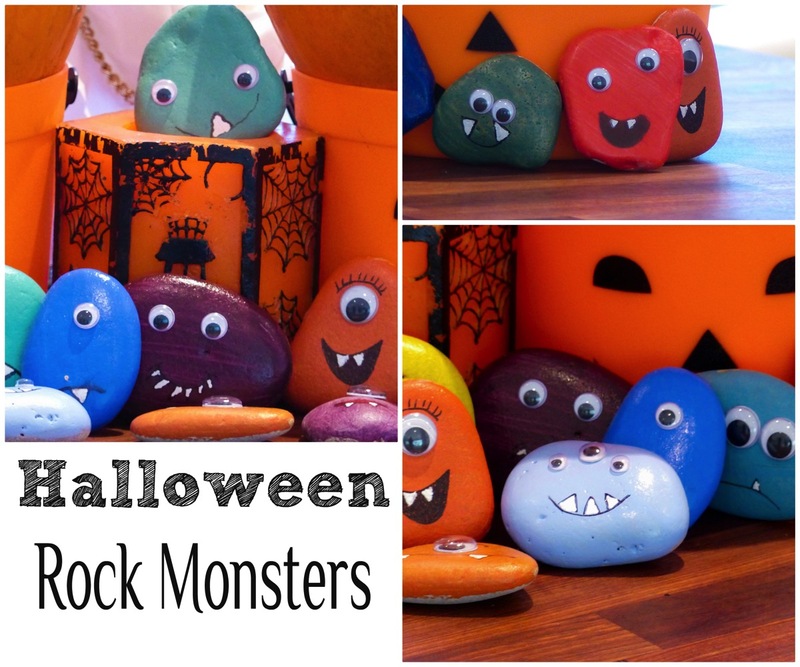 Yesterday we found time to make these cute Halloween Rock Monsters – inspired by Coastal Inspired Creations. 1. 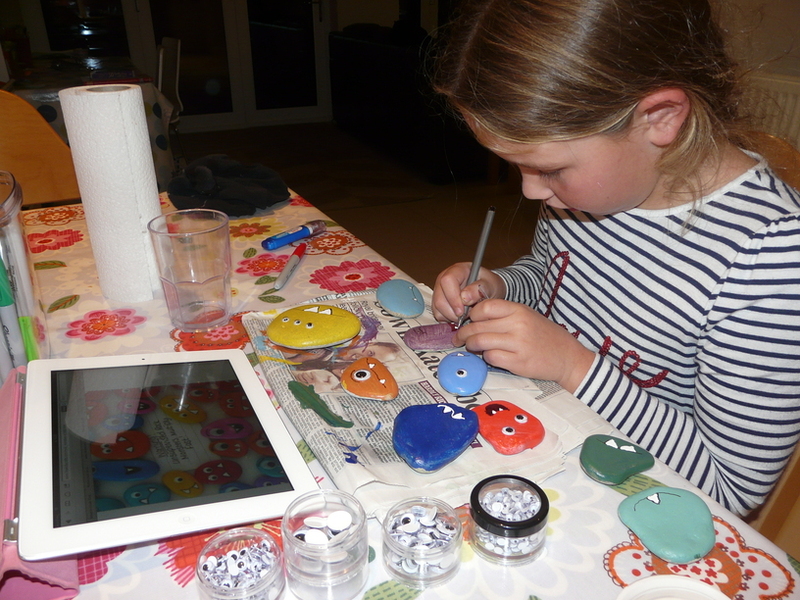 Paint your pebble with acrylic paint (we enjoyed mixing up colours). 2. Add a mouth and teeth with a black sharpie (marker pen). 3. Colour your monster’s teeth. We used a white correction fluid pen, but you could use white paint if you have a good steady hand. 4. Add googly eyes. We used the self-adhesive kind which meant no messing around with glue (just fiddling around trying to remove the backing paper!). 5. Admire your monsters (and give them names, decide who’s married to whom, and make up life stories and monster scenes :-)).